Two men have been charged after an acid attack in Crawley. The assault happened between 1am and 1.30am on Sunday (August 30) in the car park at Crawley Leisure Park when the victim, a 27-year-old man, had acid thrown over him. 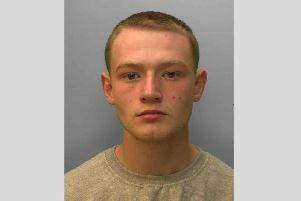 A spokesman for Sussex Police said: “Lee Bates, 25, a groundsman of Halston Close, London and Michael McPherson, 26 of Aldrington Road, London have been charged with with possession of an offensive weapon, assault and GBH with intent. They appeared on Monday September 21.